Much of the evidence underpinning the benefits of intermittent fasting has been obtained through animals studies, as it is much easier to control the factors that might influence the results and it is also possible to sacrifice the animals to make detailed measures of the changes that occur in different organs of the body. 8 healthy young men took part in this study. The intervention was 15 days, where every second day the men fasted for 20 hours (between 10pm to 6pm the next day). The subjects underwent baseline testing to look at their metabolism. A technique called a “glucose and insulin clamp’ was used to see how their bodies were metabolizing glucose. In this ‘clamp’ the investigators gave IV insulin at a fixed level (so insulin was standardized) and then varied the amount of IV glucose that they infused in order to maintain blood glucose at the pre-clamp level. 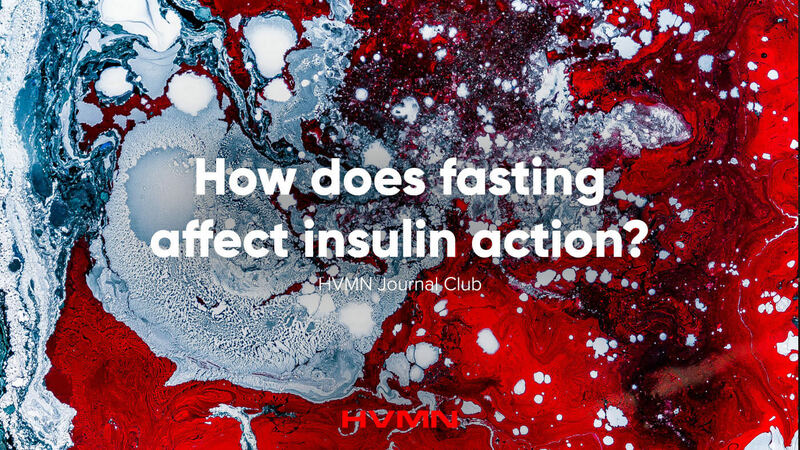 They found that the glucose infusion rate was higher after the period of fasting, indicating that the body was more sensitive to the effects of insulin. They also measured the amount of glycerol (indicator of fat release) in the area around the adipocytes when the insulin infusion started. Insulin normally causes a sharp decline in the amount of glycerol present. In this study, the decline in glycerol was more rapid after fasting, indicating again, a greater sensitivity of the adipose tissue to insulin. This is an interesting human study that is a proof-of concept that a period of regular fasting can increase the response of the body to the actions of insulin in healthy young men. More work still needs to be done with a greater number of people studied, and also people with insulin insensitivity, in order to see if this effect could help people with diabetes or metabolic syndrome.